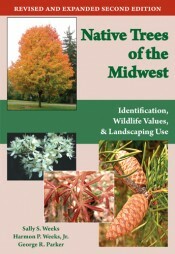 Native Trees of the Midwest is a definitive guide to identifying trees in Indiana and surrounding states, written by three leading forestry experts. Descriptive text explains how to identify every species in any season and color photographs show all important characteristics. 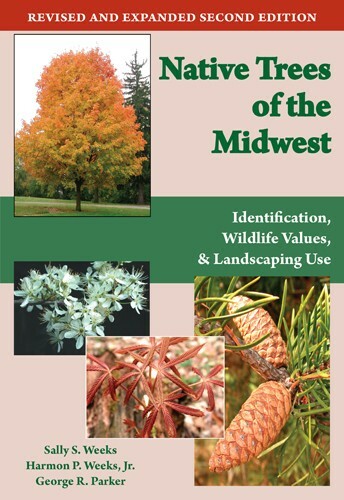 Not only does the book allow the user to identify trees and learn of their ecological and distributional attributes, but it also presents an evaluation of each species relative to its potential ornamental value for those interested in landscaping. Since tree species have diverse values to wildlife, an evaluation of wildlife uses is presented with a degree of detail available nowhere else. The revised and expanded second edition contains a chapter on introduced species that have become naturalized and invasive throughout the region. All accounts have been reviewed and modifications made when necessary to reflect changes in taxonomy, status, or wildlife uses. Keys have been modified to incorporate introduced species. An interview with the authors is available on YouTube. Sally Spurgeon Weeks was born and grew up on a dairy farm near Winamac, Indiana. She "found" trees later in life, almost by accident while a student at Purdue University; they became her passion, Charles Deam her posthumous tutor, and photography her collection medium. She has received a BSF in wildlife management and a MS in Forestry from Purdue's Department of Forestry and Natural Resources. She has taught aspects of tree identification at Purdue for 15 years and now is responsible for teaching laboratory and recitation portions of Dendrology. Harmon P. Weeks, Jr., is a professor of Wildlife Science in Forestry and Natural Resources at Purdue University, and has taught Habitat Management for thirty-five years. George Parker is Professor Emeritus of Forestry and Natural Resources at Purdue University and studied old growth forests and the dynamics of forest communities.